Named one of the most dependable trucks on the planet and one of the longest-lasting full-sized pickups on the road today, the 2018 Chevrolet Silverado 1500 price makes it one of the most affordable too and, with a variety of trims and options available it could be the most customizable as well. Three Engine Options: Drivers can choose the 4.3 L Ecotec3 V6 engine, the 5.3 L Ecotec3 V8 motor, or the 6.2 L Ecotec3 V8 powerplant for as much as 420 hp and 460 lb.-ft. of torque. Two Capable Drivetrains: Drivers can choose standard rear-wheel drive for maximum efficiency or rugged four-wheel drive for off-road capability. Class-Leading Towing: Properly equipped, the Silverado 1500 offers up to 12,500 pounds of maximum available towing capability. Best-in-Class V8 Fuel Economy: The 5.3 L V8 engine delivers up to 18 mpg/city and 24 mpg/highway fuel efficiency. Three Box Lengths: The Silverado can be equipped with a 5-foot 8-inch short bed, a 6-foot 6-inch standard bed, or an 8-foot long bed. 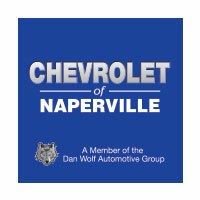 Get the 2018 Chevrolet Silverado 1500 at a price that fits your budget at Chevrolet of Naperville, not far from Aurora, IL. Contact us at630-357-6100 or visit our showroom at 1515 W. Ogden Ave in Naperville, IL to schedule a test drive and learn about the affordable financing options available to help you take your new truck home.